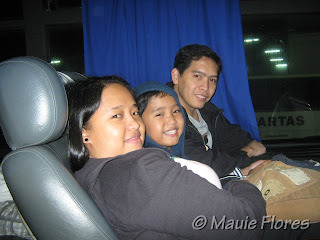 Going back to Cainta from our week-long Lenten vacation in Naga City, my husband and I chose to take the "backdoor". That meant that instead of taking the road going through Lucena - San Pablo - Sto. 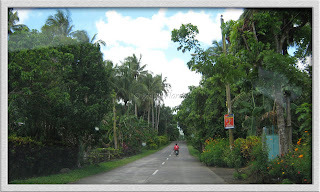 Tomas - Calamba - SLEX way, we took the road going to Tayabas, Quezon from Pagbilao. Using the new route made us see new sights. One of these is Fr. 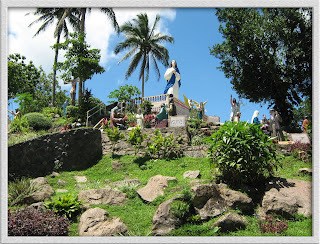 Joey Faller's Kamay ni Hesus Healing Shrine in Lucban, Quezon. From my elementary textbooks, I have learned that Lucban,Quezon is known for the Pahiyas Festival, a colorful feast in honor of its patron, San Isidro Labrador. 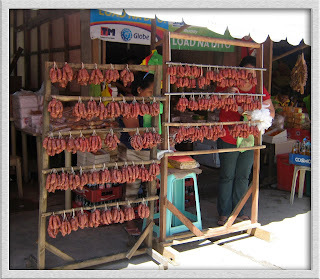 Tayabas is the nearest town to Lucban, Quezon coming from Bicol. 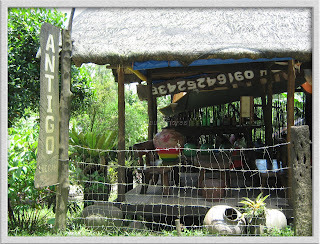 I almost missed the small road from the national highway in Pagbilao going to Tayabas. If it were not for the Kamay ni Hesus sign a few feet before the forkroad that instructed us to turn right, we could have ended up using our old Bicol-Manila route. However, a traveler who knows how to ask directions will never get lost. That's what we did and I am so thankful to the tricycle drivers that we met from Tayabas to Lucban for giving us the right directions. After what seemed to be an hour's drive from Pagbilao to Lucban, we arrived at a traffic jam a few hundred meters away from the shrine. It was Black Saturday when we traveled. I didn't expect so many people to crowd the place because it's Roman Catholic custom that churches are closed during Black Saturday and are opened to the churchgoers in time for the Easter Vigil. I was wrong, though. Pilgrims crowded the place that day. 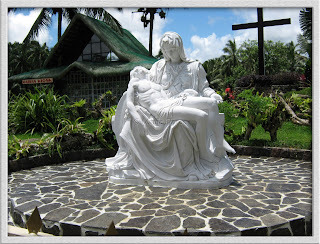 Since this was just one of our impromptu side trips, we just stayed for an hour and did not bother to go up the side of the moonument to complete the Stations of The Cross. We just went up the Marian Grotto which was on a lower hill compared to the Via Dolorosa. From Lucban, Quezon, we took the road that led us to Luisiana, Cavinti, Pagsanjan, Lumban, and to Kalayaan in Laguna where we made our next stop. I need to make a separate entry for this other awesome stop-over. Abangan! Thanks for the info about Kamay ni Hesus. I'm planning to visit the place. BTW, I love your Blog site especially the Header Title. It's kinda cute and unique. 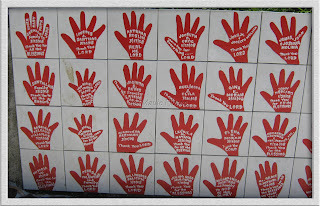 thanks for featuring Kamay ni Hesus. 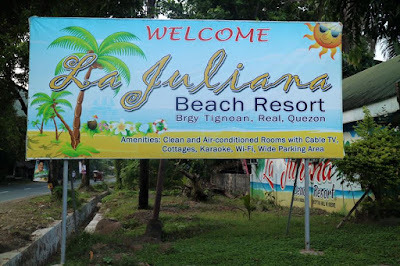 It’s one of the major tourist attraction in quezon province. 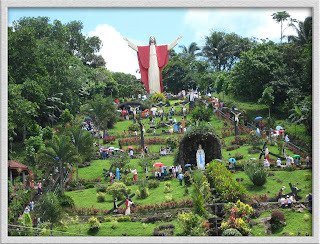 I haven't been to Lucban, Quezon yet, but if ever we'll visit this place, I'll make sure we'd visit Kamay ni Hesus Healing Shrine, too. 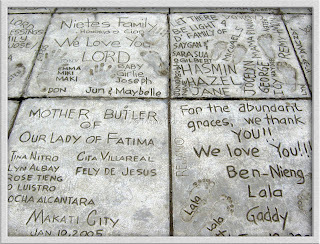 I visited Kamay Ni Hesus I think 6 or 7 years ago. 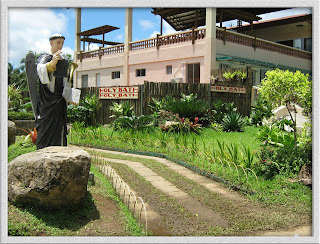 This place is known for the healing mass that is conducted here. 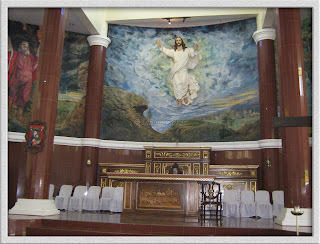 You may check the schedule in Kamay Ni Hesus site. 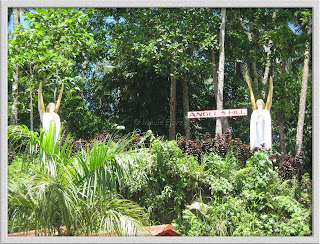 Kamay ni Hesus is one of the place we went to when we visited Lucban last year.